An owl family is contentedly sleeping on a sunny day on a branch high in a tree. Then a family of bats arrives to hang below them on the same branch. The owls are awakened and slide down to another part of the branch, the parent owl clearly upset. Meanwhile, one of the owlets and one of the baby bats start to make friends and the little owl hangs upside down with the bat family. Both parents disapprove and everyone settles back into their own families, until they are disturbed by a strong wind blowing in. Soon baby owls and bats are being flung off the branch and the adult bat and owl are panicking as they search for their children. This might just be what the families need to get along! This wordless picture book is nicely done with clear facial expressions on the animals that help the story be easily related to. The connection between the youngest of the animals is also very helpful, showing how bridges can be built by the youngest in the world. While this book is simple, it speaks to the importance of integration, diversity and wider community. Turn the book upside down for a bit of a bat perspective on the world! Appropriate for ages 2-4. 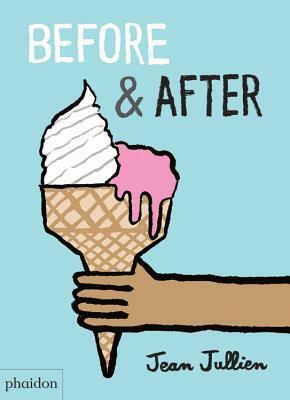 Jullien captures the difference between before and after in this board book. With changes shown through the illustrations, they are funny and sometimes surprising. Long hair before turns into short hair after and then long hair again way after. Question marks are used to ask if the egg really came before the chicken. A roller coaster ride shows a change in hair and expressions as father and child take a wild ride. 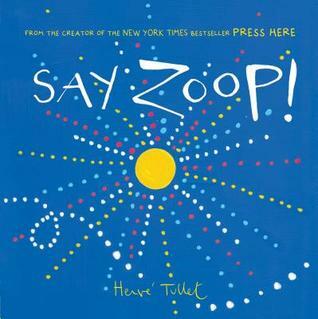 This book is silly and fun and will result in lots of conversation with little ones. This board book has sturdy flaps to open. The book is done in lino prints, strong and graphic. They are done in black and white, opening the flaps shows the colors of butterflies, milkweed and leaves. The flaps open for the butterflies in ways that let their wings flap cleverly. Finding the flaps will have readers running their hands over the pages, making it a sensory experience that way too. 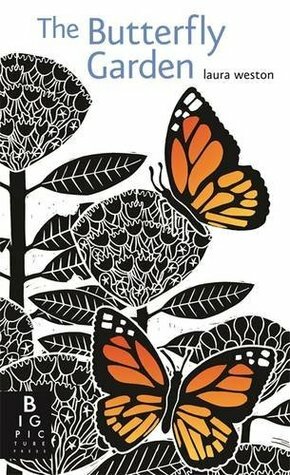 The board book uses few words and shows the lifestages of monarch butterfly in a tangible and lovely way. OK, so this isn’t really a board book, but it’s just right for little hands! The thick board covers open to sturdy pages and invite little ones to play. Just like his earlier books, Tullet invites children to interact with the pages, this time using noises as well as pressing dots. This will result in lots of silly noises, simple at first and then growing into complexity that is silly and hilarious. Just go with it! Share it with older kids too!